Hi everyone. 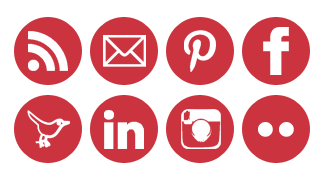 I hope you are up for a little blogging tutorial....Adding social media icons to your blog!! You know I love picture tutorials, so this one will be loaded too. Here are my new ones. Aren't they cute? My old social icons were round with red and white polka dots. I made them my self a long time ago with Picnik, but never liked the fonts for each icon. Now that I belong to more sites like Pinterest etc, I just don't have the design programs or the skills to get fancy!! Well, I found a fabulous website where you can chose from 15 different colors for each set social media icons...and they're FREE. Click HERE to visit Carrie Loves and see the beautiful social media icons she is sharing. Here's just a peek...a set of 12 icons in 15 colors!! First, you will need to do a few preliminary things. Down load any social media icons you like or icons you have designed yourself to your computer. Here is the set of icons in the color Fire that I picked for my blog from Carries site. Select the individual icons that you want on your blog and upload them to Photobucket. I've always used Photobucket to find linking codes for my images. Here are the icons I uploaded to my Photobucket account. Now open up a Word Document...this step just makes it easier to copy and paste the whole code into your dashboard. You will be copying and pasting THIS code for EACH icon you will be adding. 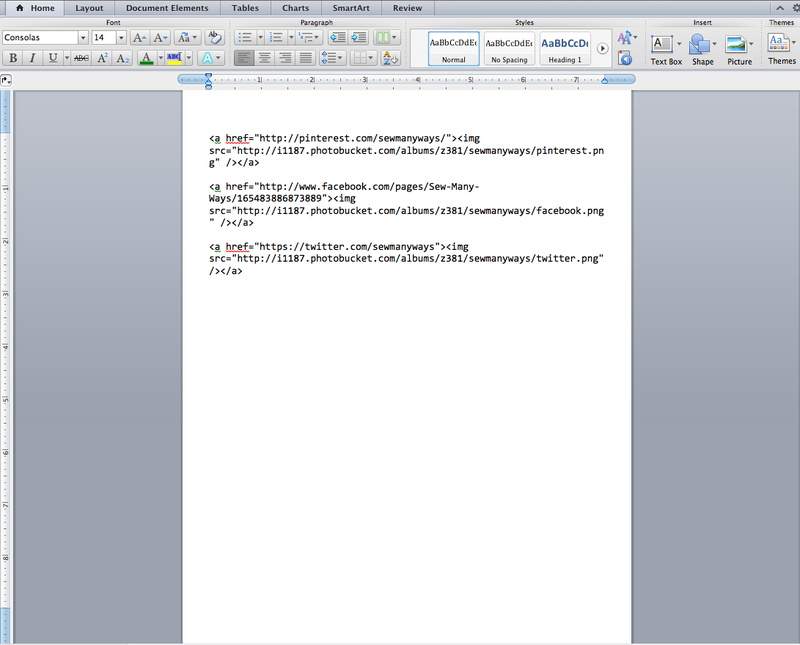 WebsiteAddressHere...this is the URL http address for each of YOUR websites like your facebook, twitter, pinterest etc. 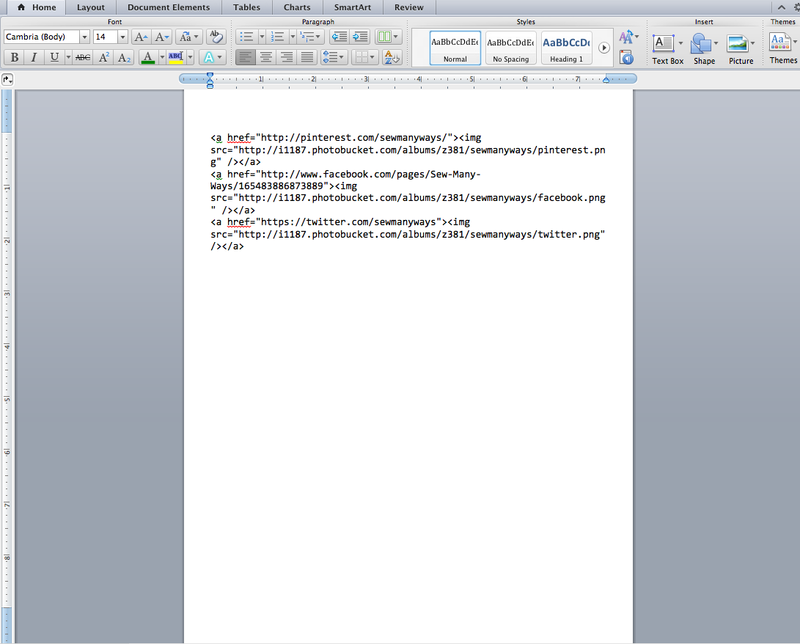 Open a Word Document and copy that original code. Here is a screen shot of the Word Document. I've added spaces between each one just to make it easier to see. When you are finished, delete the spaces before copying the whole code. Before you copy and paste all YOUR addresses and Direct Link codes into each space, make sure you delete my words that are highlighted...just don't delete the quotation marks. Next, remove the spaces and copy the whole code. 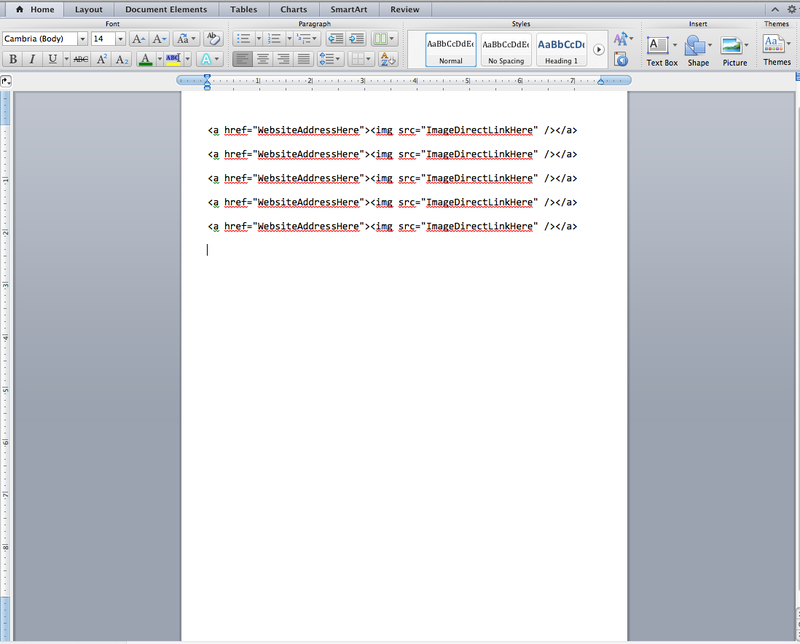 PASTE your whole code you copied from the Word Document into the HTML box. I really hope you give this a try. I know the word CODE can be scary for some, but you are just copying and pasting. If you make a mistake and the icons don't work, just remove them and start over. UPDATE...I did a post specifically about the address for the email button. Click HERE for that. I use photobucket for my blog gadgets all of the time and love how easy it is to use! Thanks for the info on the buttons! Thank you thank you thank you! Where was this post at 10 o'clock last night when I was trying to figure out how to do this and gave up in a crying fit (might have had something to do with the 3hours of sleep the night before) I am so happy to see this and finally do this on my blog! Thanks so much!! 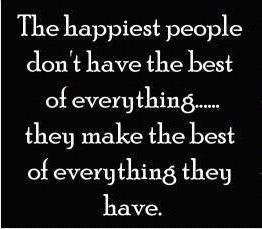 I had to pin this one! I know there are tons of people like me, needing to learn this stuff! Thank you for the tip and link! Karen thanks so much for posting this tutorial! I've been wanting to do this and thought I'd have to pay someone to do it for me. I love your blog, Tool Time Thursday and all your tutorials! You're very inspiring! Thank you so much! I have been wanting to add these buttons to my blog and had no idea how to do it! You have made it so easy for me! Thank you for sharing your blogging tips! 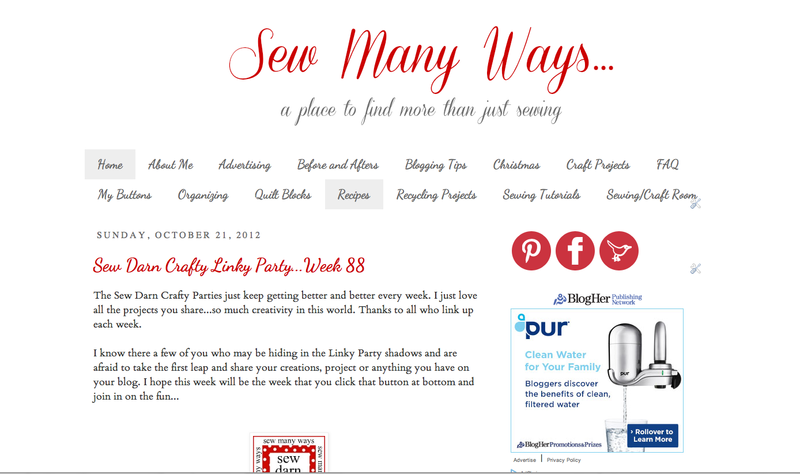 This tutorial has been great and I love the buttons on my blog! I really appreciate you sharing! WOW this was so easy to understand. it doesnt take a genius to learn, so thanks ! Thank you so much for your help with this! I've been wanting to do this for awhile but could never understand the tutorials. Photobucket wasn't working with my computer for some reason, so I used Flickr instead, and it sill worked very well! You can see the results here: www.nothinginthehouse.com. Emily, I saw what you did with flickr, but I am wondering how to get the static jpgs that I see in your html code. Perfect timing for this post since http://printsmitten.blogspot.com/2012/12/free-social-networking-icons.html# had some great social media icons in cool colors for free download. Ah, I figured it out! In flickr, after you have uploaded your icons, click on share, then choose grab the html/BBCode, copy and past the code that is there into the word processor you are using to get the "directLinkHere" that is highlighted in yellow above. Thank you, Thank you, Thank you! Tomorrow I will update my other buttons! I blogged about how to get the flickr photos to work at http://carlasinspirations.blogspot.com/2012/12/how-to-use-flickr-photos-as-buttons.html and included a link back to your blog. Thanks for your help! Thank you so much for this wonderful tutorial! I have added new pretty buttons to my blog and am sooooo excited. :) THANKSS this helped me add them in under 30 minutes, AND I made my own icons ... so much easier than I thought it would be. Thank you SO much for posting this!!! This was so so helpful. I now have buttons on my blog. Thanks! I just found your tutorial. Thank you for sharing. It was so easy to understand and do. I am so happy that I finally have social media buttons on my blog. Thank you!!!!! Social media icons help you draw visitors, which would then increase the probability of them liking your Facebook page or following you on Twitter. They’ll be liking, commenting on, and sharing your posts. Your social media links should be easy to see and to click on, so don’t make people scroll down or look for them on another page. 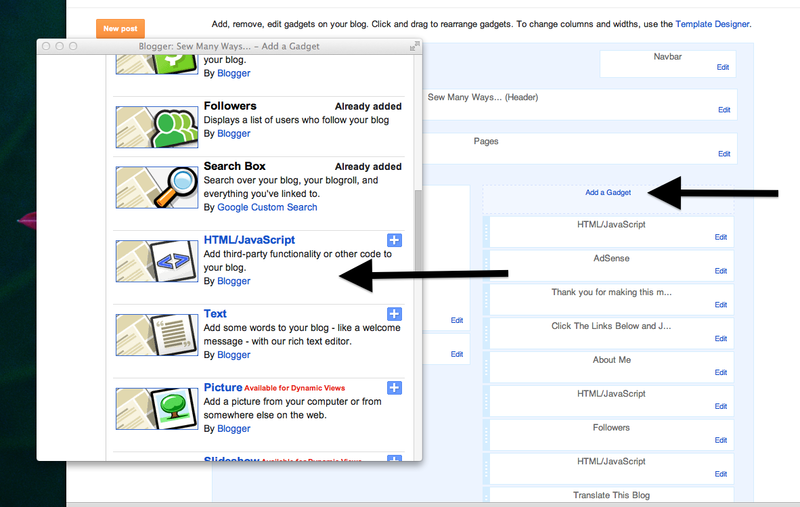 Making it ‘kid sister’ simple for existing fans to see and click on your icons will help grow traffic for your blogs. Thank you so much! Finally managed to add them! Now I just have to spread my wings and get a few more of those social media options figured out! Thank you for your tutorial! This is a great post, thank you! 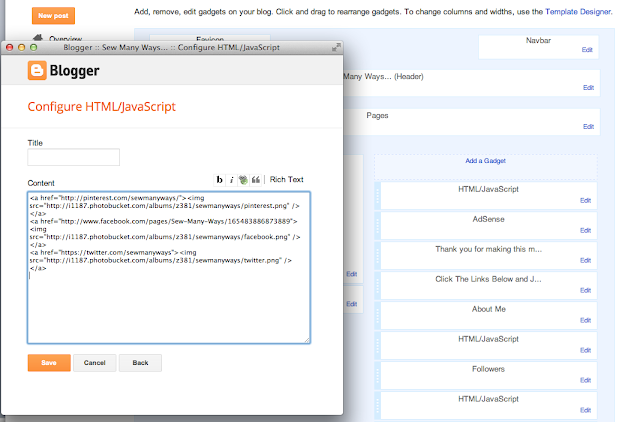 Wasn't sure if i would be able to do this but in a matter of 20 minutes I've added buttons to my blog. OMG thank you soo much <3 http://icandy6199.blogspot.com/ this is my second day with a blog so not much has happened but all the changes are thanks to you ! This is such an awesome and easy tutorial! Thank you so so much! I just added them! Thanks for this great information. I was able to make my buttons and it was easy! You have some excellent tutorials that are easy to follow. I've used a few of them - they are a wonderful resource! Ok I'm feeling really dumb... I created a photo bucket account and downloaded the icons I want ( I think) but I can not get them into photo bucket :/ I have tried this a few time with your tutorial and someone els's and just cant seem to get it. Can you help me please? awesome tutorial. thanks! will change mine once i have more time. Yay! I figured out how to make them smaller in Photobucket. I'm on a roll now. LOL! hi PLEASE respond to this because I really want to do this for my blog and am getting very frustrated. I downloaded the ones from Carries site (maybe I'm doing it wrong) but Photobucket says its an invalid photo type. please help me out! is there any way I could add you as an admin for my blog and you could give me a hand with this? You might have done what I did at first and tried to drag and drop the zipped file. I found that I had to open the file up in my computer, copy the icons I wanted (I just dumped them on my desktop), and once they were out of the zipped file, I could just move them to Photobucket. Even though I unzipped the file while viewing them, Photobucket couldn't seem to figure it out. Hope that helps! Thank you so much for this easy how to! I finally have nice buttons on my blog. Thanks for this post- great tips! Thank you so much!! Such a big help! Thank you! I was struggling with this until I found your page! I appreciate the help. What website link would I use to set up an email icon? That one stumped me. Replace the blue highlighted text with mailto:youremailaddress. Oh my God!! This has been so amazingly helpful thank you so much! THANK YOU THANK YOU THANK YOU!!! Finally a tutorial that worked for me!!! All of my new icons look great and best of all they link properly!!! Thank you again!!! Thank you , a newbie could not but be in glee for such helpful key. Hi, I just wanted to say a big thank you for this tutorial. I have been trying to do this for ages!! Your tutorial is so much easier to understand than all the others in blog land. I really appreciate you taking the time to do and for for the link for the icons too, I love them! Social media make connection among people in which they create, share, and exchange information and ideas in virtual communities and networks.Social media is a great thing to connect with friend and families. Just want to say THANK YOU so much. Ive been trying for ages to do this and I came across your site and ive managed to so it. You step by step guide is so easy to read through and follow. I'm new to blogging and ur blogs really help me alot!!! Thanks so much for the shout out & using my icons... I love seeing them on other people's blogs - it warms my heart! Thank you for posting this. Your tutorial is so easy to follow. I was lost without it! Thank you! I don't know what an RSS is and I can't figure out how to set up the email icon, but the others are all done! Thank you soo much for this article. I googled "how to add social media icons to a blog" and you are the only person has made the instructions very simple and easy to understand. I am a new blogger. I haven't made any posts yet, still trying to make my blog "look pretty". Thank-you for this tutorial it was very easy to follow even for someone like me who know next-to-nothing about this kind of stuff. I followed all of the steps but am stuck on the last step as I have a Wordpress blog. thank u, thank u, thank u. Such a great help! OMG! For months, I've been struggling to add these to my blog and you've just saved me!! Thank you so much. This tutorial was so easy to follow, especially for the tech challenged like me :D Thank you! LOL, I feel the same way as Rafeeda AR... After searching websites, looking for tutorials, and practicing ALL DAY LONG, I finally got the buttons the right size and able to link to my sites... I dont know what was different about your tutorial but it worked for me! Thank you so much! Awesome post it has been a great help! I have successfully done it! I finally figured this out thanks to you...I only needed a Pinterest for now but still it was exciting to have helpful directions like this. This is the second time your blog has given me easy-to-follow instructions; last time was lined drapes and they came out just beautifully. So I figure it's time to become a follower! Thank you! Took me a couple of attempts but I got there! Finally on the blogging bandwagon! I cannot thank you enough for this tutorial. You demystified the process. I have tried to do this per the advice and tips from another blog and failed, seriously almost gave up. Then I cam across your blog. Thank you, thank you, thank you. It worked after my first try and I am not a coder by a long shot. Super easy. Thank you again. I am sooo happy to join the long list of people saying THANK YOU for this post! It worked like a charm. I'm absolutely your newest follower, and will be posting a link back to this post. Fantastic! Thanks so much for your incredibly helpful tutorial.. I finally got some super cute social media icons uploaded and centered on my blog.. Phew! All thanks to you.. cheers! Excellent information and some great tips of social media marketing. This topic about social media really amazed me very much. I also got some information exactly this topic at http://www.topictower.com/. Both of your information really fabulous. I really informed some unknown thing about social media. I'm probably doing something stupid, but everytime I click on my buttons that I've added it's saying they can't be found within this blog? And it's got my bog address and then the address of my twitter etc. Thank you so much for the tutorial, it really helped! Thank you so much for the PERFECT instructions! Used them on both my blogs! Brand new blogger, brand new to HTML, thank you for making this SUPER simple! It was a snap and now my page looks so pretty! OMGSH!! Thank you thank you thank you!! There could not have been a better post for a beginner! Thanks loads for the easy to follow tutorial! It's awsome! Thank you so much for this fantastic tutorial. Just one question though, the two icons I used appear one above the other. How do I get them to be side by side? Thanks. No problem ... I figured out how to get them side by side. Thanks again though for the great information, really useful after I'd spent hours yesterday trying to do this! Thanks for the great tut! I'm going to try it on my blog now! Thank you so much for the simple directions, made my blogging day! Only question I have is, How do I get the buttons side by side? THANK YOU for this tutorial!! I couldn´t have done without it! The buttons are really good and i love your tutorials! Thank you for the awesome tutorial :) I did it!!! A social networking is a social structure made up of a set of actors (such as individuals or organizations) and a complex set of the dyadic ties between these actors. Thank you SO much for posting this! I have been wanting to make social media buttons on my blog for a long time, but never knew how! Now they look great! Thank you! Thanks a lot for this great info and ideas..
thank you so much for this easy to follow tutorial...it worked! Thank you so much for this information, It really worked! This was great thanks so much! You saved my life! Thank you!!!! Sorry to be a pain, however- is there a way to have the links open in a new window? This is so helpful, but now after my logo there is this code: " /> - as you can see here - do you think I have a space that needs deleting? I must be doing somehting wrong? Everytime I save the code and go to look at my page I see the code hasnt worked so I go to check the code and it's deleted most of the code. I'm sure I'll get it to work eventuall. THANK YOU SO MUCH!!!!!!!!! Oh, and if you have a spare moment please check out http://izeeboo.blogspot.co.uk/ and my new social media buttons!!!!!!!!! Wow, oh, wow, oh, wow! 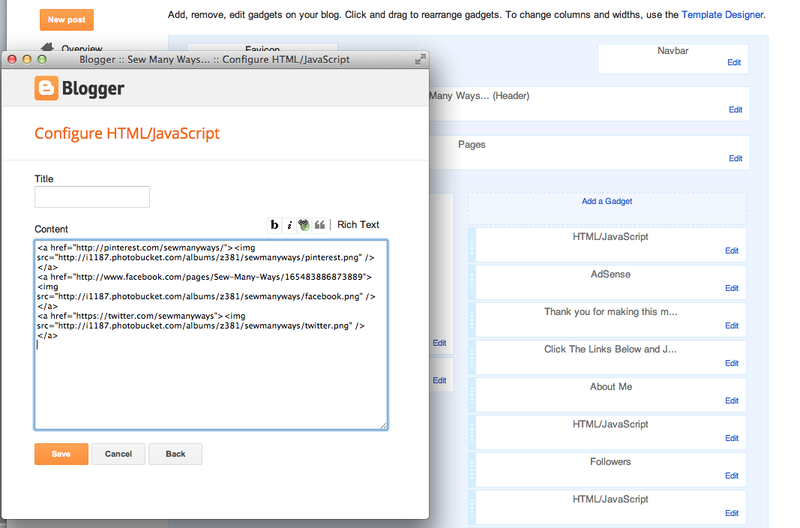 I now have social media links on my blog because of you and your easy-to-follow instructions. Life is grand. Thank you very much. Thank you for this, this is the only way I could get my buttons to work and I have tried quite a few other ways! This is really great information for all users.We can exactly get the idea which firm is best for magnetic badges.Great to share this directions. Thank you so much for sharing!! I'm new to blogging and was trying to figure everything out and this post and your other posts have been so helpful!! Thank you this was so helpful! However the link for the icons work but the picture doesn't show up it is just that icon that shows when a picture won't load.. please help me??!! thank you so so so much been driving me crazy trying to figure out how to do this and it finally worked but do you know how to move the icons so there beside each other? I'm having trouble with the Facebook icon. I've copied the code and the links, but when I click save on the gadget the Facebook one disappears. Any help? Thank you so much! This was so easy with your help! Thanks so much for this post! I have spent hours stressing out about how to do the links but you made it so easy! Thank you for this post! It was very helpful for setting up my blog. Thanks for the great tutorial, I just updated my poor, neglected blog. Now it looks great! Thank you! Thank you so much! I've been searching for a tutorial for so long. I've tried many ways but it never really worked. Yours is so easy and I made it on the first try! Amazing, easy to follow! Thanks! thank you so much for this I used the bubble gum pink and it just looks adorable ! Thank you SO much! I was struggling to figure this out and now I have clickable buttons! WOOHOO!